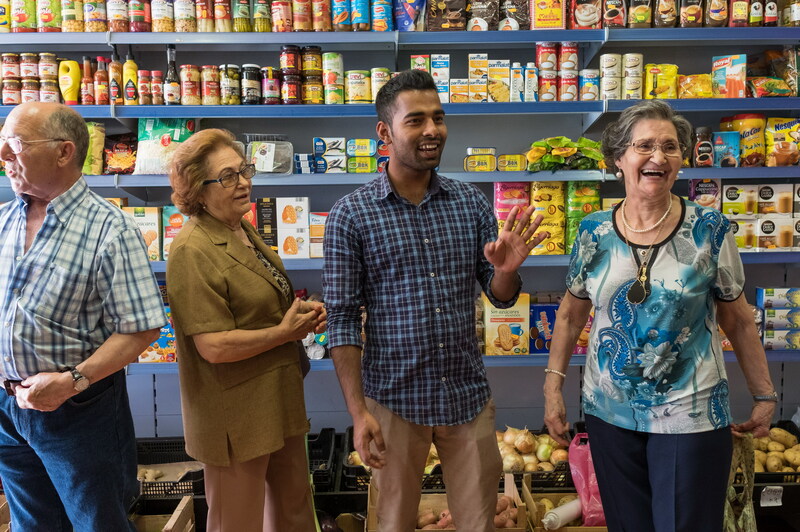 Nepalese immigrant Shakib runs a grocery in a neighbourhood where many seniors live. They benefit from his services and teach him Portuguese. In Tapada, Portugal, AKF/K’Cidade brings together its ethnically diverse community around development activities. Thanks to the help of AKF and social workers in Portugal, Ana-Filipa integrated back into the school system after a series of challenges. 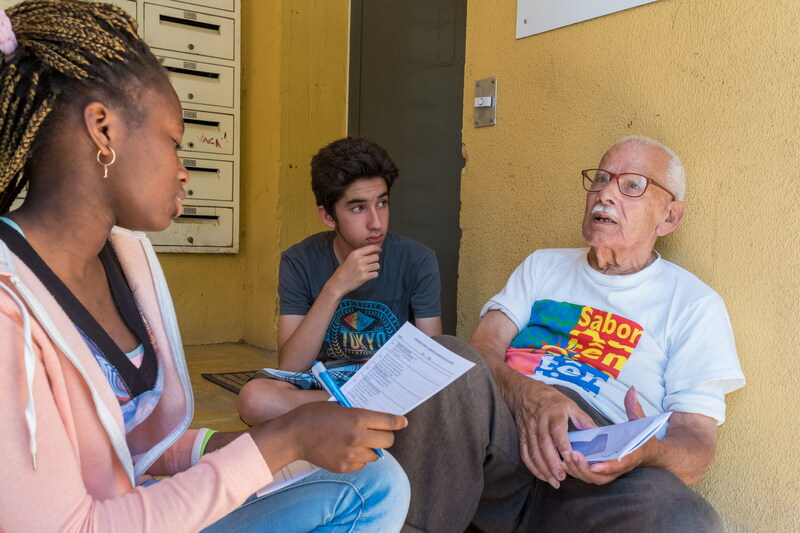 With the support of AKF/K’Cidade, youth undertook a neighbourhood questionnaire among the elderly to find out how they thought community life could be improved. 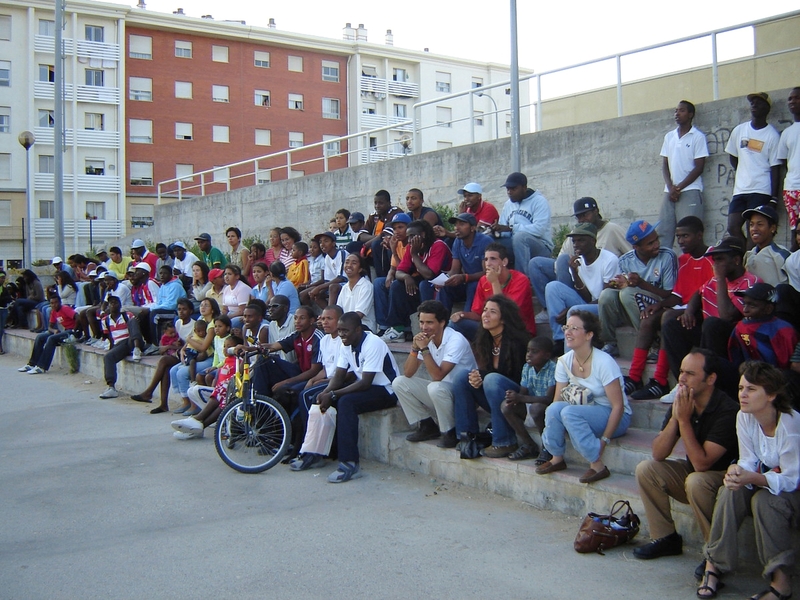 The overall goal of the K’CIDADE (Urban Community Support Programme) is to improve the quality of life for marginalised groups within urban Portugal (including cultural and ethnic minorities). 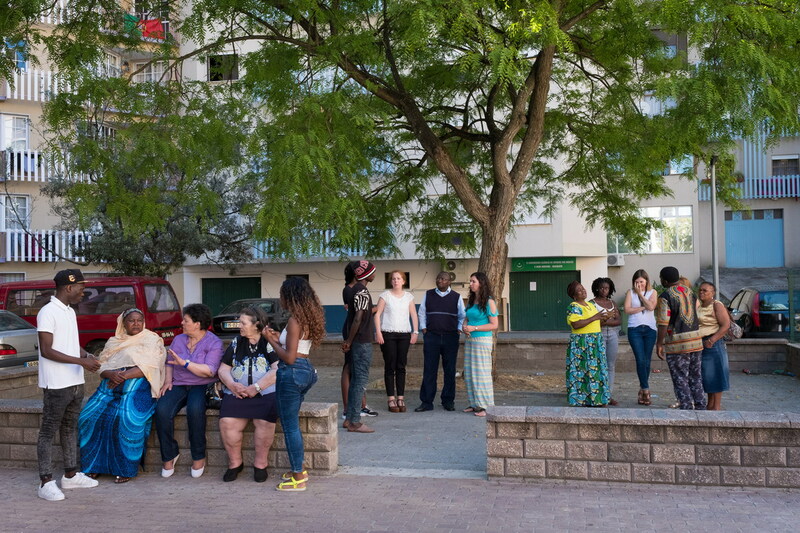 Since 2004, the Urban Community Support Programme (K’CIDADE) has helped transform diverse urban neighbourhoods in Greater Lisbon into safer and more socially connected places to live. The programme is currently expanding to Porto. Networking with institutional and local partners while canvassing communities about their perceptions, needs and priorities (Participatory Diagnostics) has encouraged participation, leveraged local talents and boosted creative energy within communities to respond to global challenges and local needs. The programme’s commitment is long-term to ensure quality and sustainability. All of this work is sustained by the models and solutions co-design locally which resulted in a set of AKF ready-to-use materials that build local capacity: Participatory Diagnostics Methodology (DPs); Community Innovation Projects Model (PICs); Employability Networks Guide; Capacity Building Immigrants Associations Programme (SIM project). The national scaling of all AKF Prt programmes is done by actively engaging with Government, municipalities, CSOs, universities, private sector, practitioners’ associations forming stronger strategic alliances and using shared platforms supporting blended-learning methods to ensure replication and sustainability. By working together with others it seeks to strengthen local governance, increase people’s self-confidence and resilience, and create better opportunities for everyone. Participatory Diagnostics Methodology - This guide presents the methodology that allows developing participatory processes, encouraging the reflection and the involvement of people and organisations in decision-making processes and the construction of local solutions. Community Innovation Projects Model (PIC) – PIC aim to solve problems in a given community, through the identification of resources and possible solutions. They begin through dialogue with community people, informal groups and local organisations. The SIM Programme - Sustainability, Impact and Change, developed in partnership with the High Commission for Migration – ACM, seeks to strengthen the action of immigrant associations through a formative blended learning approach, based on the production of video lessons. The goal is to create a cascading effect on associations to take on the role of multiplier agents. 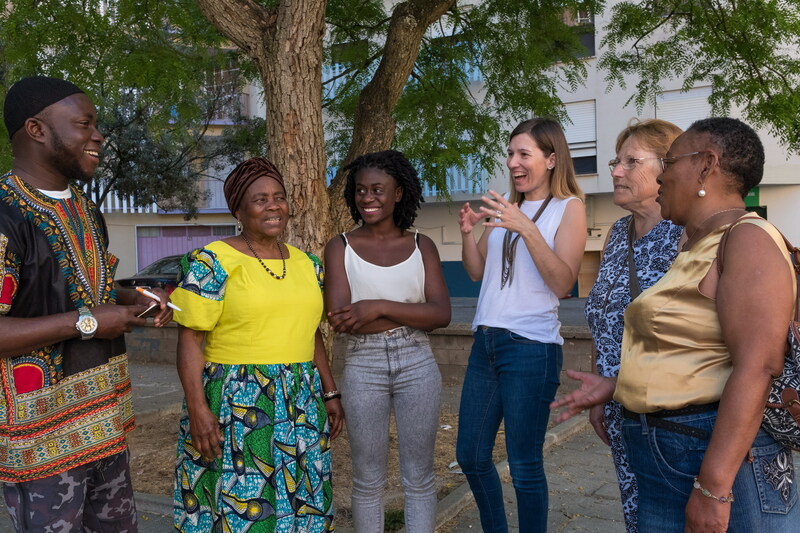 In Portugal, K’Cidade, AKF’s urban community support programme, brings together people from different backgrounds and ages by involving them in community improvement and development activities. As time goes on, minds open up and encouraging participation becomes easier. This programme has known particular success in Tapada, one of the most ethnically diverse parishes in which K’Cidade works.